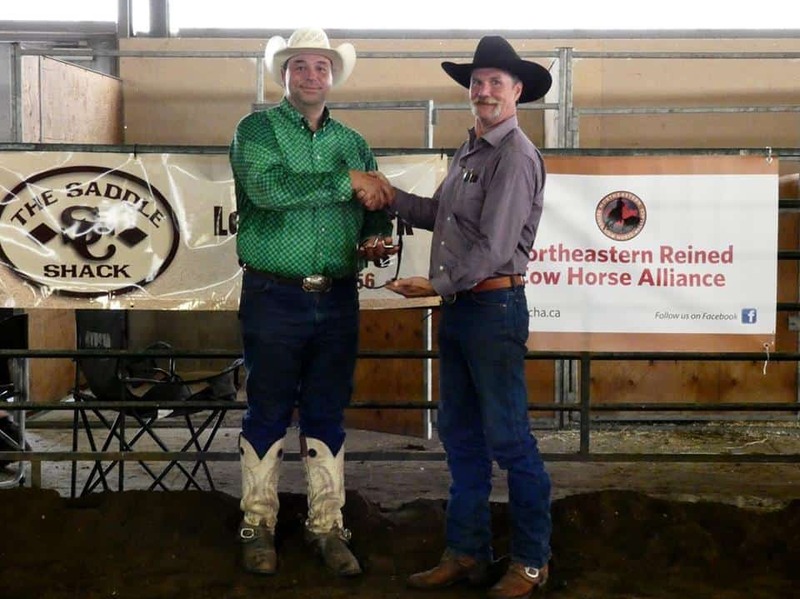 The Misty Meadows Fall Spectacular, judged by Rod Thiessen from Estevan, SK, was the gem in the crown of the North Eastern Reined Cow Horse Alliance for their shows this season. 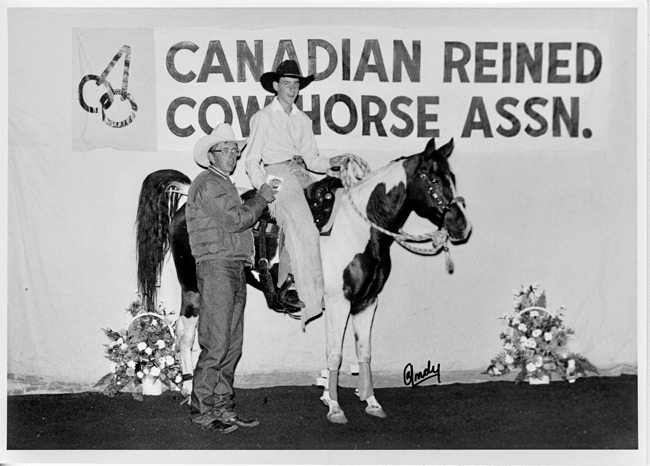 The show was held on September 1 & 2 at the Ilderton Fairgrounds in Ilderton, Ontario. Competitors came from as far away as New York State, Michigan, Virginia and Kentucky. 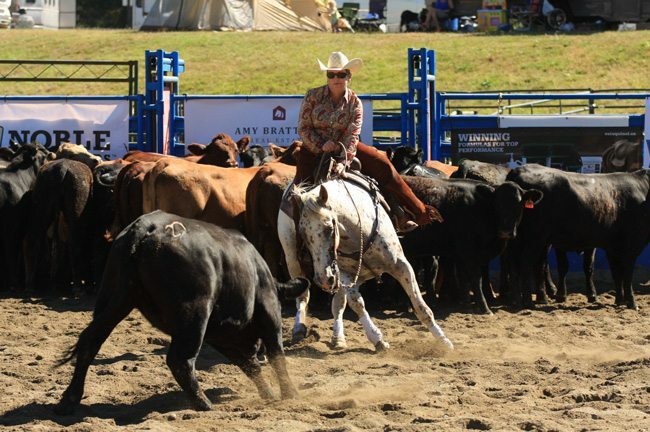 This show will be talked about for some time and competitors and fans of cow horse are anticipating another spectacular event for 2019. Highlights from the Misty Meadows Fall Spectacular include two days of National Reined Cow Horse Association (NRCHA) classes with $1,000 added each day. The Spectacular also included NRCHA Futurity Open classes, as well as Non-Pro and Limited Non-Pro classes with $1,200 added. For the four-year-olds, there were NRCHA Derby Open, Non-Pro and Limited Non-Pro classes, again with $1,200 added. 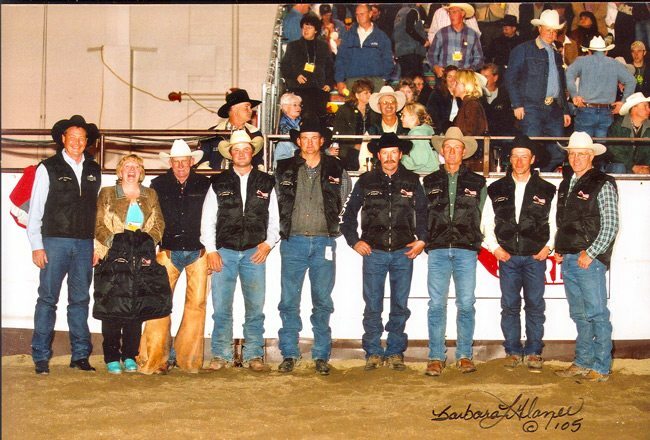 Finally, for the older horses there was an NRCHA Bridle Spectacular Open, Non-Pro and LTD. Non Pro with $1,200 added, and a Green Rider Spectacular with $500 added. 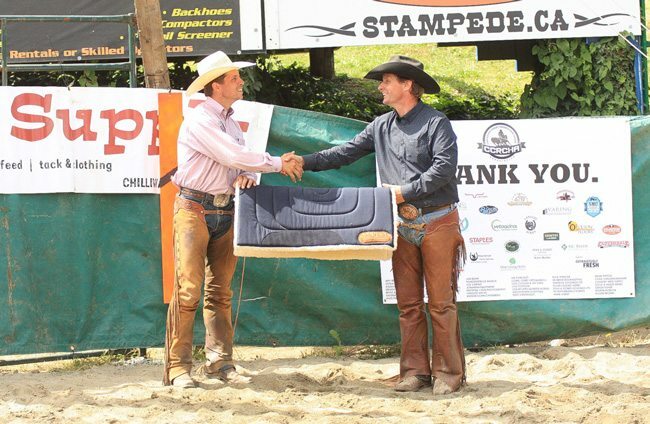 The winner of the Greg Darnell bit for High Point Cow Horse (highest fence run) was won by Darren Bilyea. Bilyea recently worked on the Taron Ranch, in Wabasca , AB. 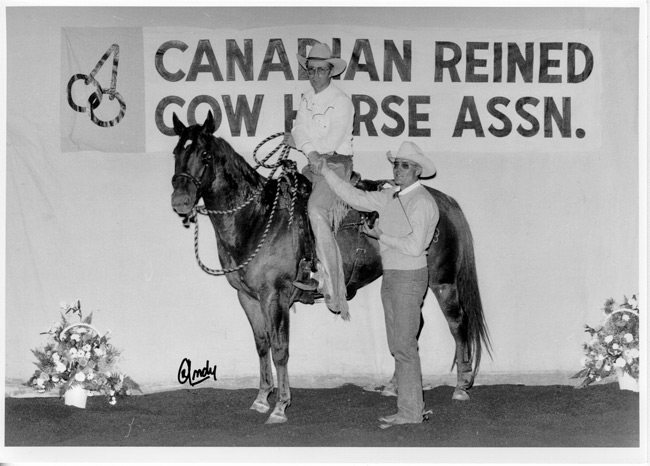 During his employment there he started colts, trained and showed reining and working reined cow horses. 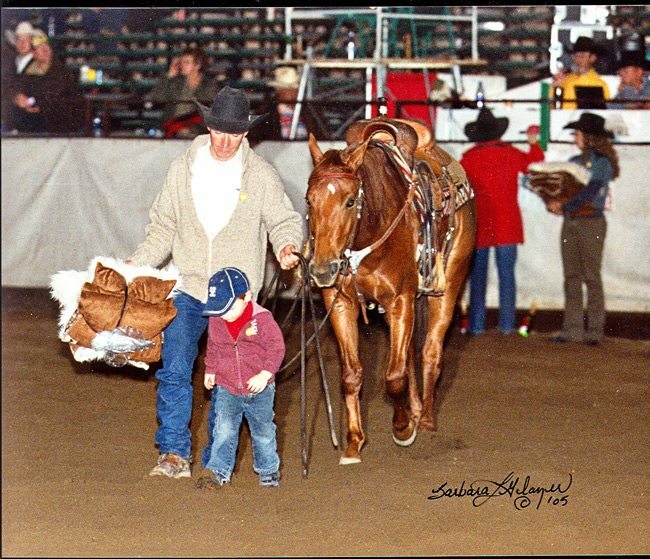 Bilyea is an NRCHA approved judge and has won numerous national titles. 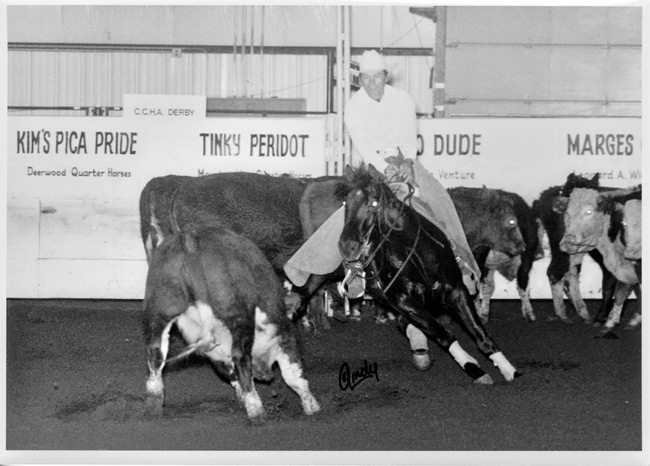 No doubt those days spent working on the Taron Ranch prepared the champion competitor for the event. Now back in Ontario, Bilyea is working hard to promote the working reined cow horse through the North Eastern Reined Cow Horse Alliance. 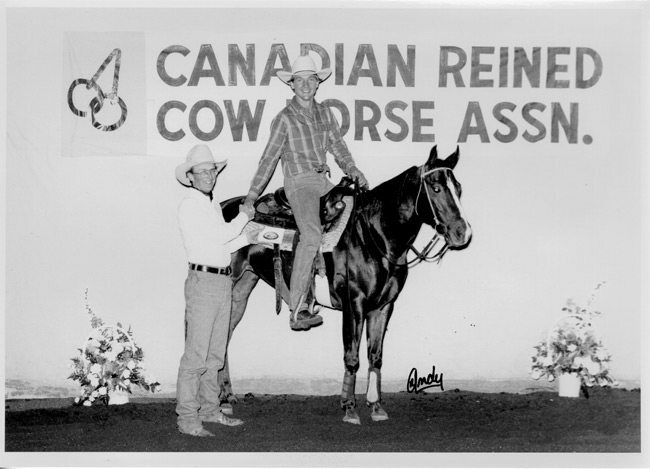 Feel free to follow the NERCHA on Facebook at Northeastern Reined Cowhorse Alliance. Try a Bit Before You Buy It! There’s no question – top riders across the globe favour Tom Balding’s handcrafted bits and spurs. 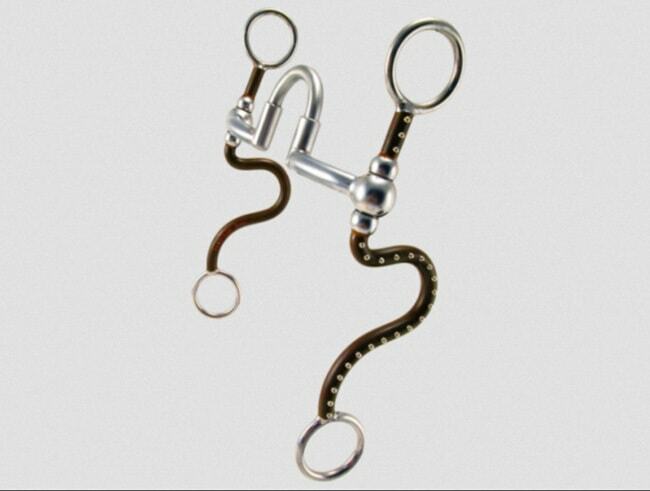 With Balding’s meticulous attention to detail, knowledge of the horse and high quality materials used to create his bits and spurs, it’s no wonder Balding’s company is a leader in the field. 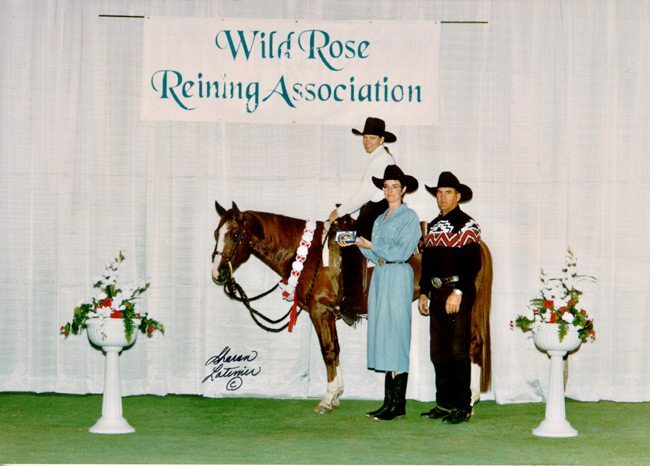 Fans include the National Reining Horse Association $5 Million Rider Andrea Fappani, National Cutting Horse Association Hall of Famer Phil Rapp, and National Reined Cow Horse Association Million-Dollar Rider Zane Davis, to name a few. If you’ve ever considered purchasing a high quality bit, Tom Balding Bits & Spurs offers a wide variety of custom bit combinations. No matter what you are looking to attain from your horse’s performance, there’s a bit that will offer customized assistance. Tom Balding Bits & Spurs knows a high quality bit purchase requires the best educated decision possible; as it is an investment that will often last a lifetime. 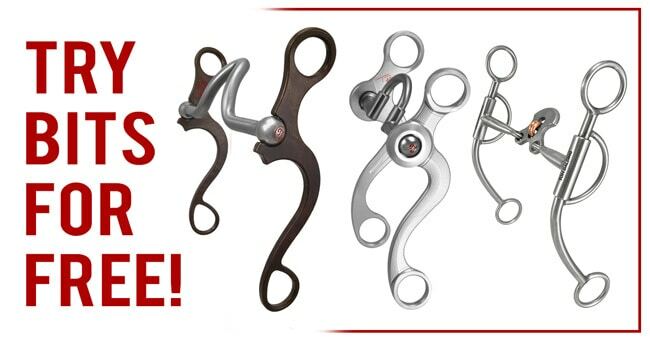 Which is why the company created the Trial Bit Service, offered to those who would like to try a mouthpiece before purchasing – to ensure they are comfortable with the function in relation to their riding style. Within the Trial Bit Service, clients are welcome to try up to three bits for two weeks. Additionally, the company tries to offer most combinations; however, because of the large number of possible combinations, clients may have to try a bit with a similar shank to the one requested. The only out of pocket expense you may incur are the shipping costs. For more information about this unique service, check out the Trial Bit website page here. • The Tom Balding blog. When you are ready to request your trial bits give Tom Balding Bits & Spurs a call or message them with the desired mouthpiece and shank combinations. They look forward to getting you into the right bit for you and your horse. Request your trial bits today! 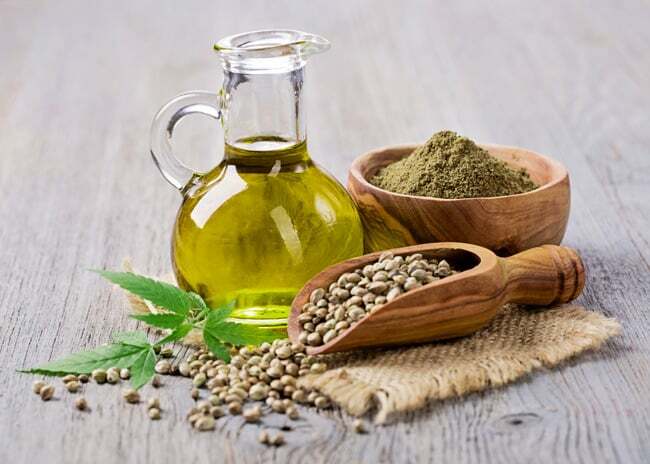 There is a lot of talk about hemp oil as the new “it” supplement in the equine world. Praise Hemp, a division of Hempco, is working hand-in-hand with top veterinarians to deliver the best hemp-based supplement on the market today. 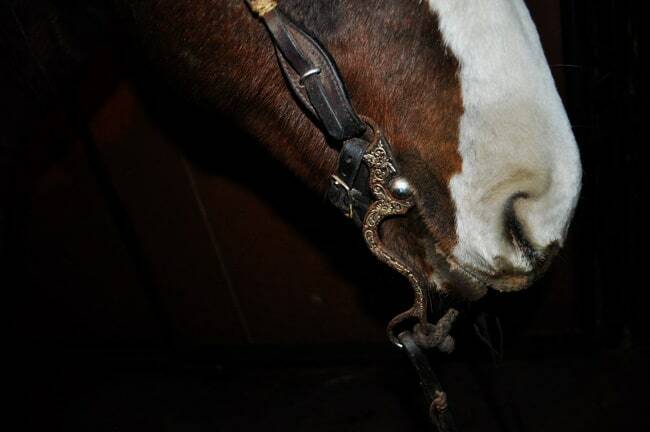 So why choose hemp for your equine partner? As a relatively new food to western cultures, hemp is a tiny seed with gigantic nutritional benefits. Hemp seeds are a nutrient dense, all natural, low processed, easily digested form of healthy fats and exceptional source of plant-based protein. Essential Fatty Acids (EFA’s) are essential to tissue growth and help regulate many internal functions. EFA’s are by definition, essential because they can’t be produced by the body and must be obtained through diet for proper growth and body functioning. Essential Amino Acids (EAA’s) are the building blocks found in protein and hemp offers an excellent protein quality which rivals many grains, as well as soy and whey. By supplementing hemp oil, topping and protein fiber to our equine’s diet, you may notice an improvement in immune system, energy, digestion, skin and coat, mobility, muscle health and cardiovascular health. 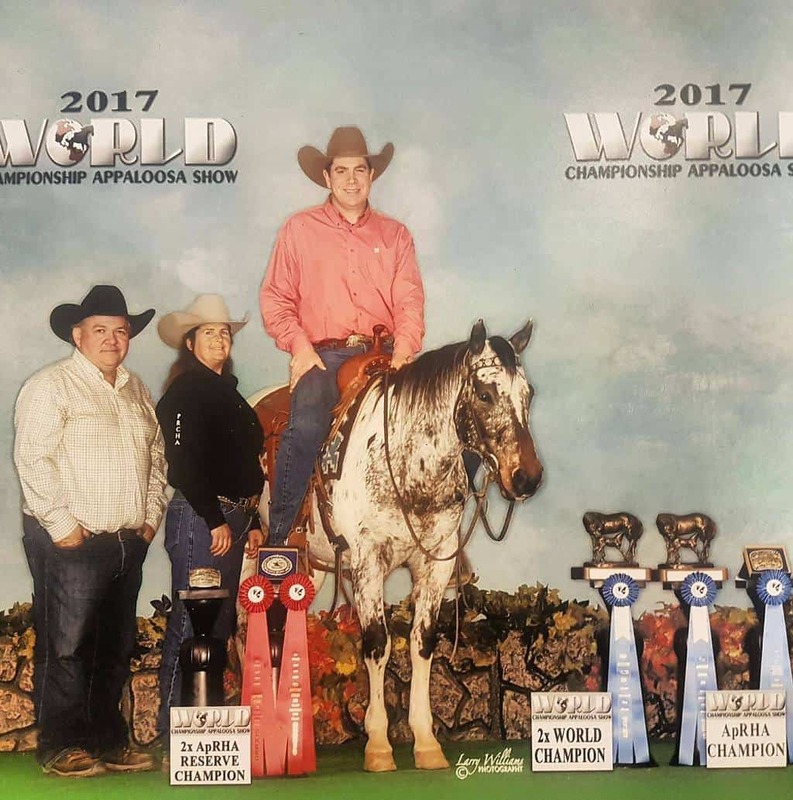 Appaloosa Stallion, Lets Go Higher, is coming off a successful World Championship Appaloosa Show, and is now headed to the NRCHA World Show with trainer, Clint Swales. Photo Credit: Larry Williams. 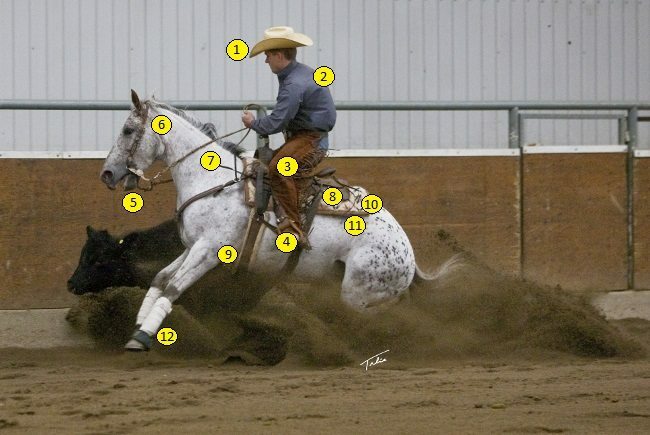 Reined cow horse is a demanding western performance sport that requires horses to be on the top of their game. An exceptional feeding program is required to keep them feeling, and looking, their very best. Swales is keenly aware of the importance of his feed program as he prepares to head to the National Reined Cow Horse Association (NRCHA) Celebration of Champions in Fort Worth, Texas from February 9-17. The NRCHA World Championship Show features the top horses and riders from each of the NRCHA’s eight geographic regions competing for World Championship titles in fourteen exciting events. After using the Praise Hemp product line for the last six months, Clint Swales is a believer in the power of hemp. 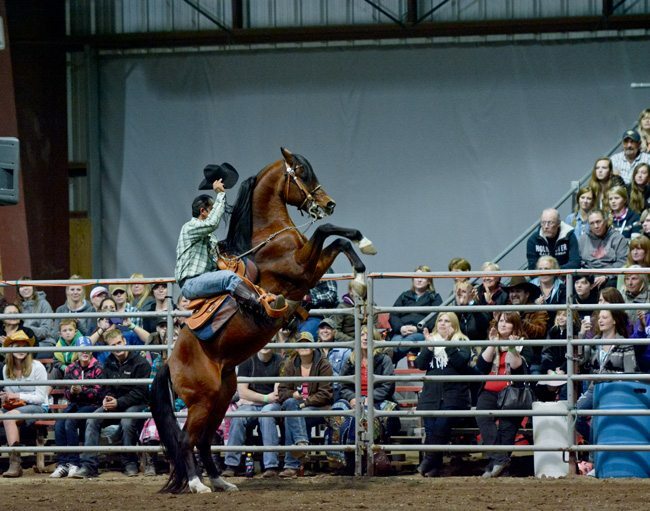 It’s Spring and that means the Mane Event, Red Deer, AB, is just around the corner! Elevate your riding skills and learn how to communicate better with your horse at the upcoming Mane Event, Equine Education and Trade Fair April 21 – 23, 2017 at Westerner Park in Red Deer, AB. 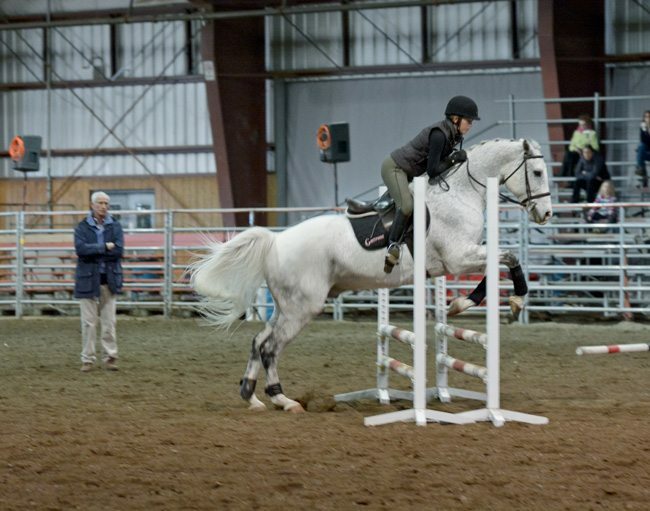 Horse owners and enthusiasts are in for a treat at this very diversified horse expo. The Mane Event is very proud of their commitment to providing the very best equine related education, shopping and entertainment all at one location. The mini-clinics this year include some of the best equine educators and clinicians available in a variety of disciplines including; Peter Gray – Jumping; Shannon Dueck – Dressage; Craig Johnson – Reining; Sharon and Storme Camarillo – Barrel Racing; Van Hargis – Ranch Horsemanship; Garn Walker – Cowboy Dressage; Kalley Krickeberg – Horsemanship; Nate Bowers – Driving; and Nicole Tolle – Gaited Horsemanship. Attendees will also be enlightened by a variety of presenters in the lecture area on saddle fitting, nutrition, equine health, and much more. 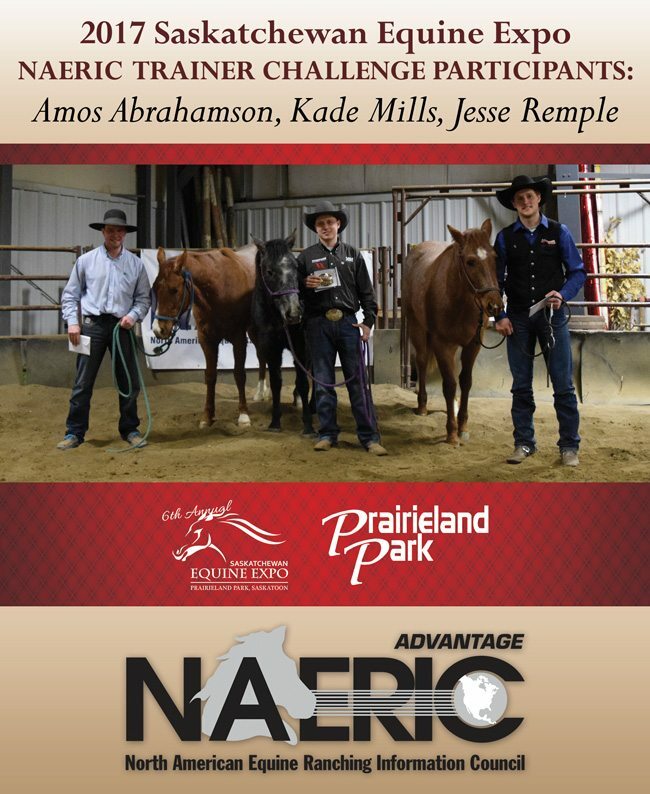 The Trainers Challenge is set to be a scorcher this year with Martin Black, Glenn Stewart and Shamus Haws working with horses from the Ace of Clubs Quarter Horse. The goal of the Mane Event is to have everyone learn including the trainers. In addition, Glenn, Martin and Shamus will each be presenting an arena session on Saturday, and participants are being accepted for their arena sessions. Organizers of The Mane Event have not forgotten the upcoming young horse owners and riders – 4H, Pony Clubs and riding clubs! This year they will have a special Youth Lecture Area which will feature some of the clinicians doing special presentations for youth. Also, be sure not to miss the Friday night Youth Pro-Am sponsored by “Back On Track”. This is an event that teams youth riders and their horses up with Mane Event trainers to ride a timed obstacle course. When the concept was first introduced at last year’s Red Deer Mane Event, the demand to bring it back was very high so here it is again! There is no cost to ride in this competition and prize packages will be offered by Back On Track. Applications are available on the Mane Event website and it is limited to youth riders only. 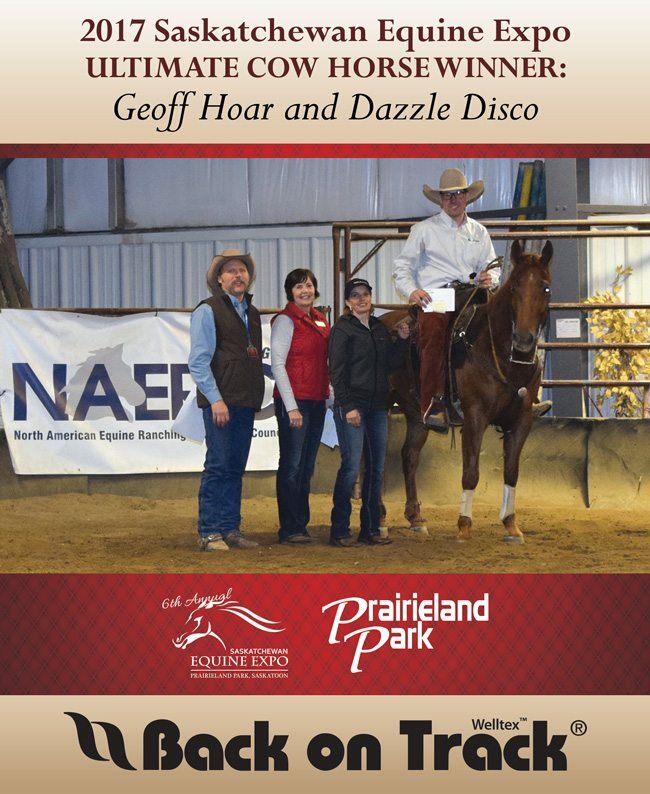 Youth writers are additionally invited to enter the Youth Essay Contest to win a beautiful, registered AQHA filly generously donated by the Rocking Heart Ranch. The deadline for entries is April 10th – please visit the website for more information. What would a horse expo be without shopping?!? 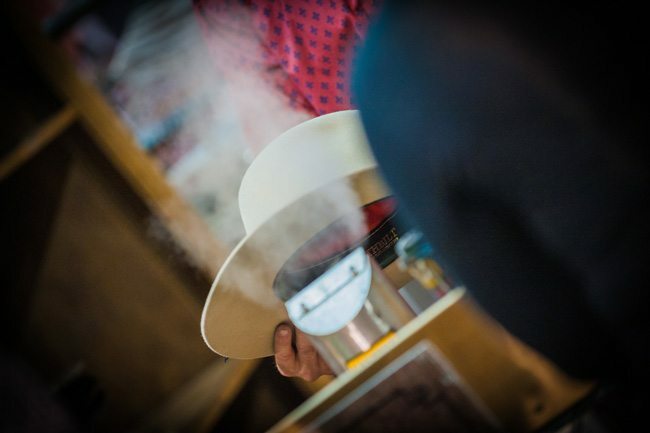 In the trade show, you will see a diverse group of vendors from across the USA and Canada with only equine products and services, western clothing, equine décor and home furnishings for horse owners and enthusiasts. After you have shopped and learned from some of the very best in the equine world today, it’s time to relax and enjoy some great entertainment in the “Equine Experience.” This year’s lineup includes the Calgary Stampede Showriders; trick riding by Morgan Stewart; the Millarville Musical Ride, a demonstration by Glenn Stewart, and one by Kalley Krickeberg plus more to come. A schedule for the Equine Experience will be posted closer to the event. This is a weekend jam-packed with equine education, fun, knowledge and shopping. Tickets are available in advance (which will save you some money!) 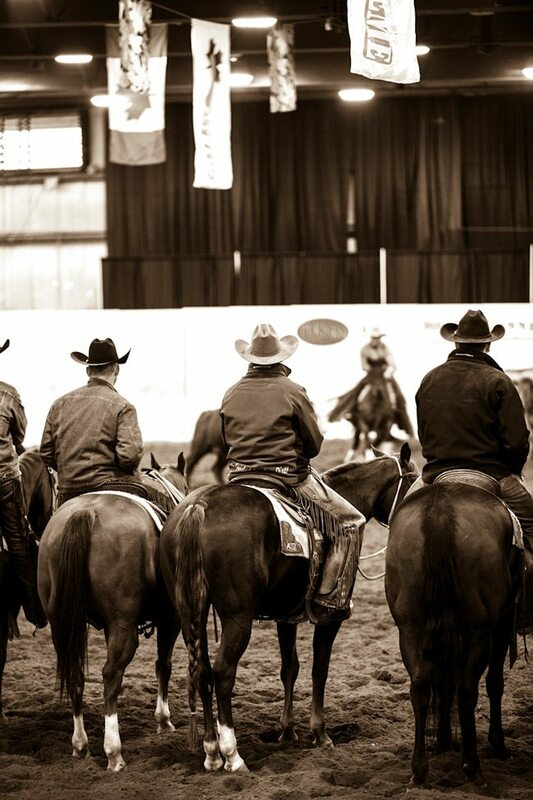 or lots at the door – plan now for 3-days of nothing but horses, horses, horses! Visit www.maneeventexpo.com for more information. SASKATOON, Saskatchewan – Prairieland Park organizers and the Saskatchewan Equine Expo committee would like to thank their partners The Saskatchewan Horse Federation and the Western College of Veterinary Medicine, along with all the sponsors, the media and volunteers who helped to make the 6th Annual Saskatchewan Equine Expo such an amazing success. The 6th Annual Equine Expo achieved a record attendance with 11,725 people taking in the 4 day show. 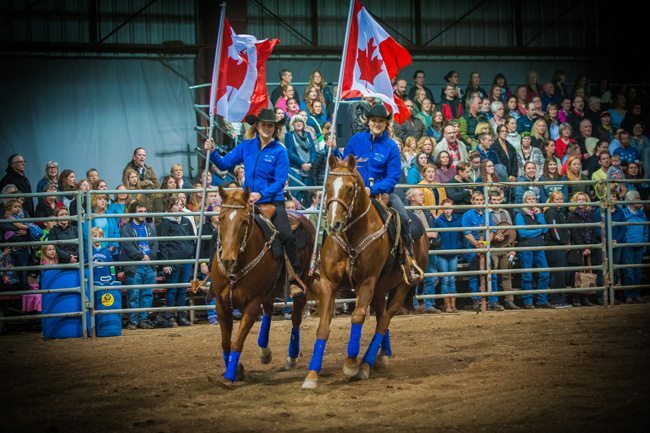 The Saskatchewan Equine Expo showcases many elements of the Equine industry through demonstrations, clinics, competitions, awards and an industry trade show. 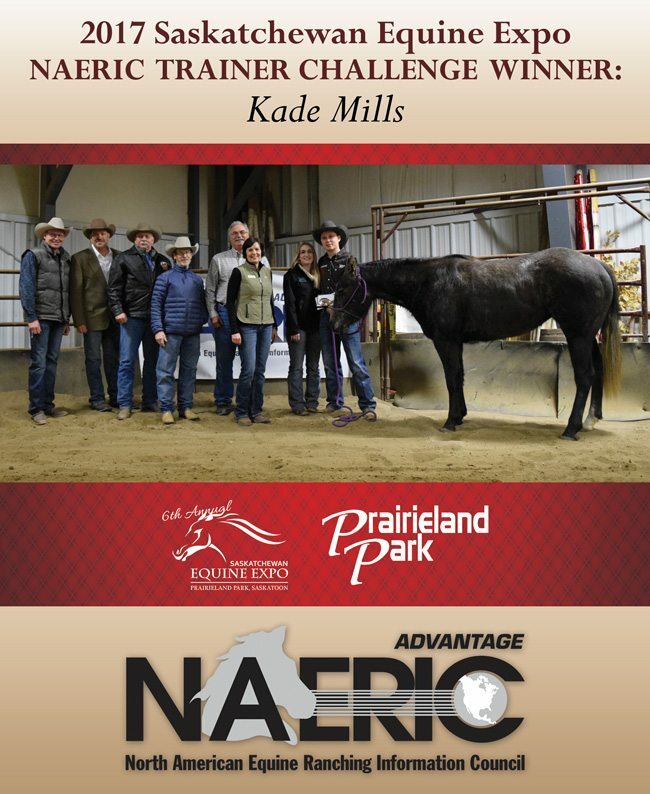 The Saskatchewan Equine Expo would like to thank their three incredible trainers for the entertaining performances, and congratulate Kade Mills from Sundre, Alberta on being named the winner of the NAERIC Trainer Challenge. 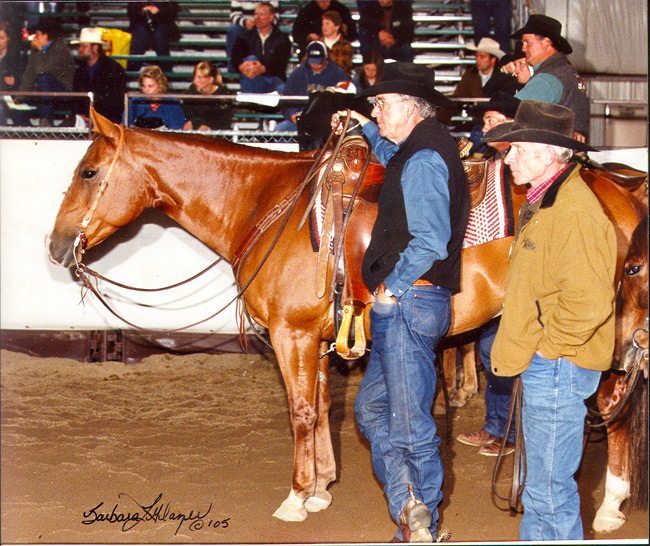 Both Glenn Stewart and Dale Clearwater captivated the audience demonstrating their expertise in Natural Horsemanship demonstrations and a Working Cow Horse clinic this year. 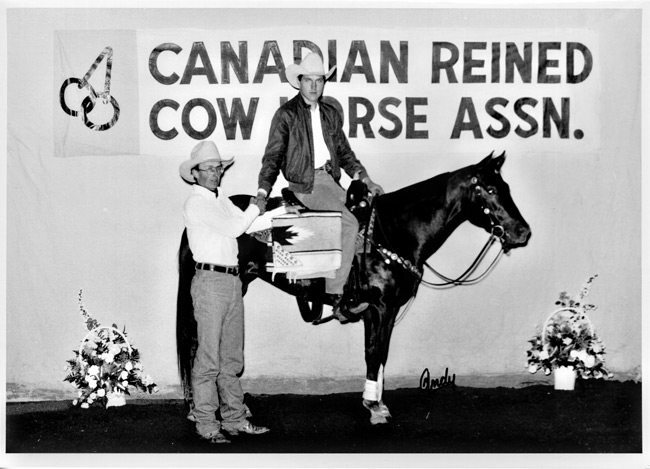 Congratulations also to the winner of the Ultimate Cow Horse Competition, Geoff Hoar, Red Deer Country, Alberta. The Battle of the Breeds was a highlight for the audience watching 6 breeds compete in 4 events to determine the overall winner – Team Quarter Horse was awarded 1st place, followed by Team Arabian in 2nd place and Team Andalusian in 3rd place. “The weather definitely cooperated with us this year and we are so pleased that the 6th Equine Expo again attracted such an enthusiastic and knowledgeable crowd”, commented Lori Cates, Agriculture Manager. Canadian Supreme action this week in Red Deer. Photo by Krista Kay Photography. 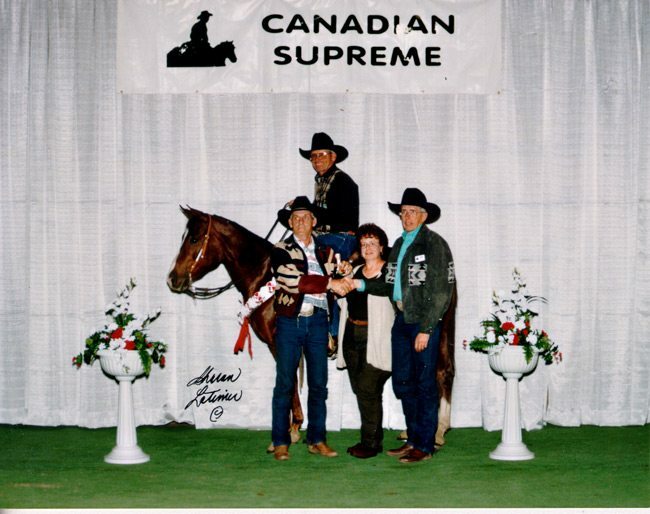 The Canadian Supreme is marking 40 years, as it showcases and promotes the training traditions of the western horseman in the cutting, reining and working cow horse events. Offering $400,000 in prize money, the show has attracted nearly 600 entries from across western Canada and the northern U.S. states. 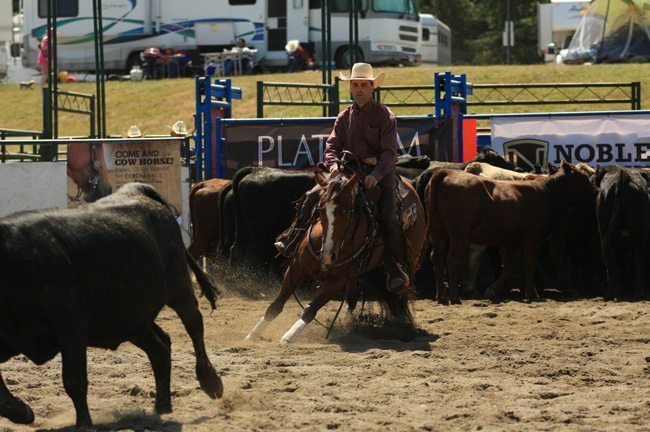 The skilled competitors will be at Red Deer’s Westerner Park for six days of action, September 27th-October 2nd. Red Deer area breeder and competitor Jim Dobler sees it as a key show for his business. 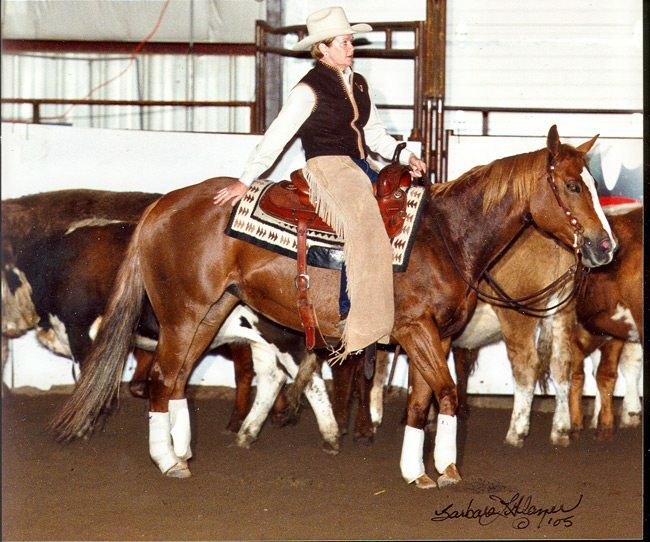 “For 40 years, it has been the fall showcase for really, really nice horses. 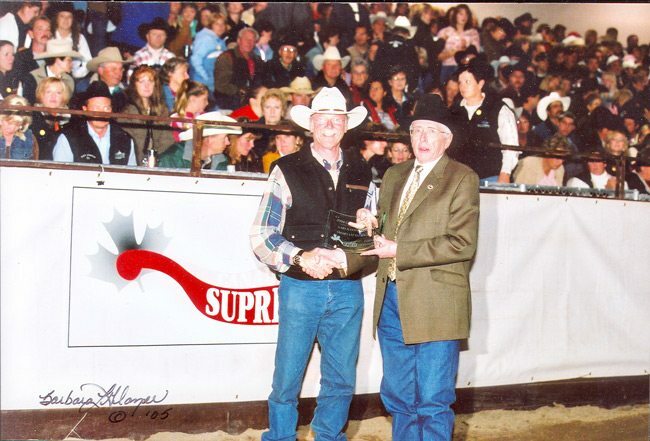 I know many people that became Cow Horse competitors and even trainers, just because of coming to the Supreme,” said Dobler. Innisfail trainer Geoff Hoar agrees. “The Supreme is bigger than a lot of the shows we go to, and has a different feel. What I see, too, is that it shows off the sport to people who maybe haven’t seen it before. It gives exposure, and people may end up saying ‘that looks like fun, how can I get involved?’” noted Hoar. 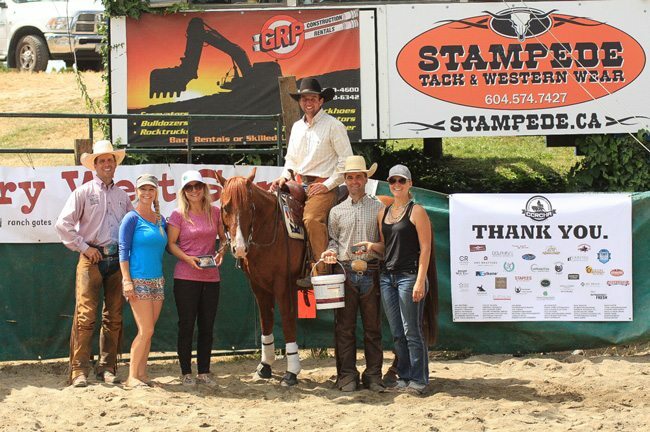 Young trainer Travis Rempel brings over horses from his barn in Fort Langley, B.C. Longtime exhibitor Dennis Nolin has stepped up to become the overall show sponsor this year with his company MTE Logistix. Along with the exciting competitions, and the trade fair of horse-related products and services, a highlight is always the Saturday night feature performance. This year, a key component will be the induction of the Robson family into the Canadian Supreme Hall of Fame. 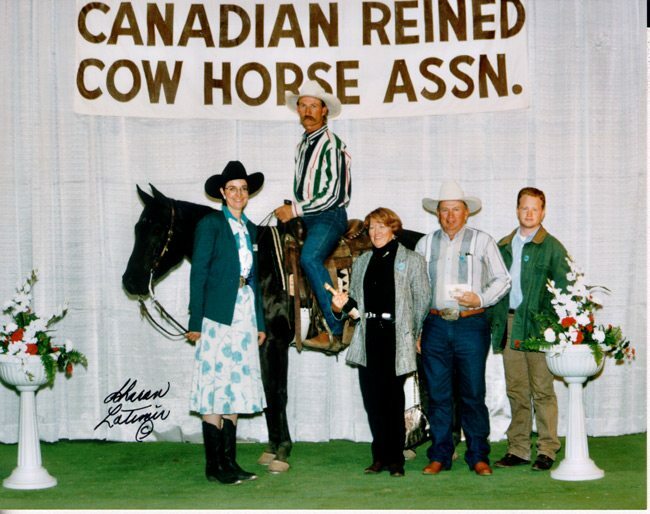 “The leadership of Dave Robson and his family is really behind the show’s great success,” related Les Burwash, of the Horse Industry Association of Alberta. Dave Robson served at the helm of the show from 1982 until 2013, when his son Jeff Robson took over the leadership. Dave’s late wife, Val Robson, was a real spark of light for the show for many years, and son Kurt continues to be a big part of the show’s organization as well. “The Canadian Supreme has been great for the sport, and that was our intention all along,” commented Dave Robson. The one program change this year at the Supreme sees the Western Horse Sale on hiatus. Replacing it on the Friday night will be the first ever Invitational Barrel Racing Trainers Challenge, where you can cheer on your favorite trainers or lopers as they tackle a barrel course for the top prize and bragging rights. Then it’s a ‘blast from the past’ with the fan favorite fence work done by some of the top trainers from years gone by, all as part of the 40th anniversary celebrations. Once again this year, the public is invited to take in the show free of charge. The live webcast of the classes is back, which can be accessed, along with daily schedules, on the website www.canadiansupreme.com. Cayley Wilson and Drivin Stylish were the Open Futurity Champions. 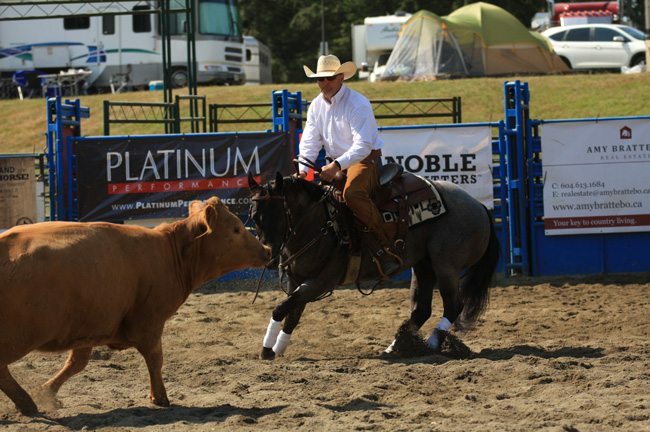 The saying goes, “There is a first time for everything” and in the case of the Cow Up On The Coast horse show it was an event of many firsts. 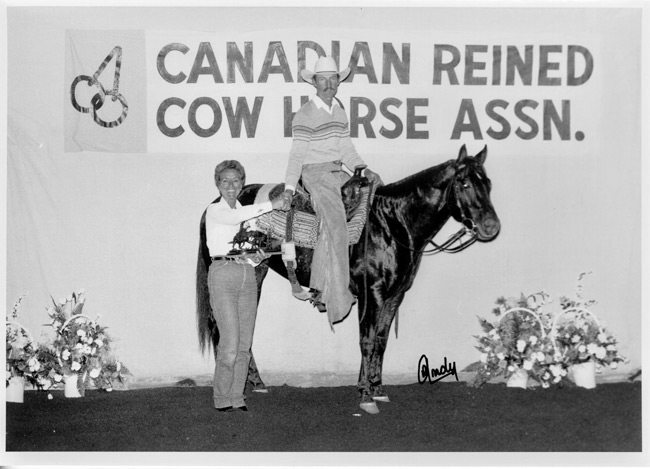 This National Reined Cow Horse Association approved show was the first Futurity/Derby and Horse Show offered by the newest affiliate club, The Canadian Coast Reined Cow Horse Association (CCRCHA). The show held July 29-31, 2016, offered a full slate of classes for every level, great prizes, $15,000 in added monies, entertainment and even a sponsored steak dinner. 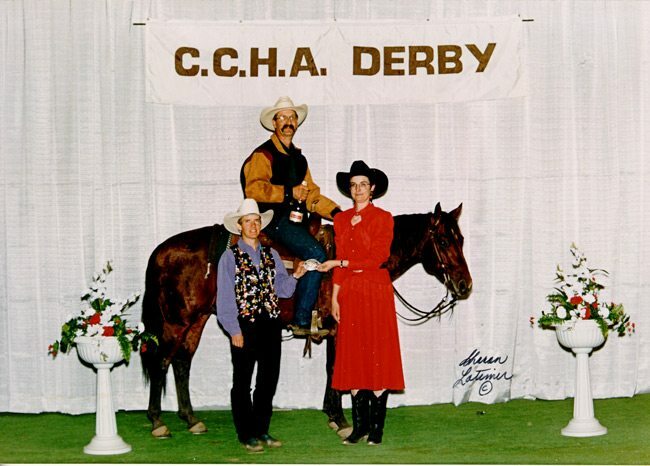 “We tried really hard to make this a fun show for everyone, from those new to cow horse, to seasoned competitors who wanted to try their hand at winning great prizes or testing out their futurity horses,” said Cayley Wilson the CCRCHA president. “Our mission, and reason for starting this affiliate club, was to bring more opportunities for cow horse enthusiasts to show their horses and grow the sport in our area. The Cow up On The Coast Show was just the beginning of future events and efforts,” he added. 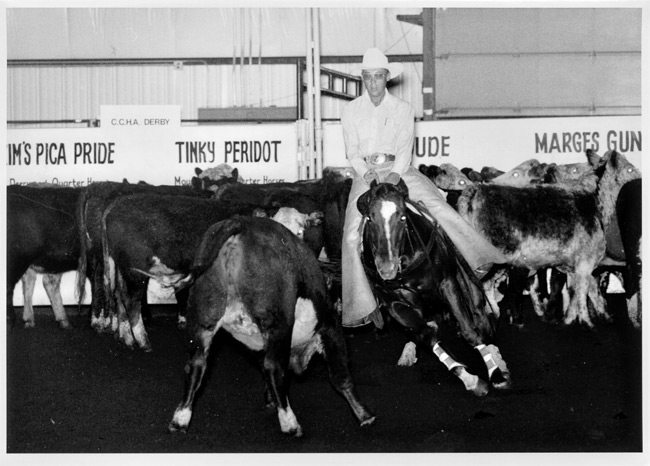 John Swales and Chics Made Me Do It in the Open Futurity. The show was held at the Langley Riders Outdoor Equestrian Center, a small park-like facility just 40 minutes from the U.S./Canadian border. The facility gave riders a chance to show outdoors, camp, and sit along the banks of the arena while watching competitors and enjoying the beautiful weather. For some, it was their first time showing in an NRCHA approved event, others were debuting their three-year-old futurity horses, and for many spectators it was their first time seeing a cow horse event. After the first day of showing on Friday, competitors were treated to a catered steak dinner and educational presentation by Dr. Ela Misuno of Vetoquinol and Zylkene, one of the show’s premiere sponsors. This gave competitors and family a chance to enjoy great food, learn about horse health, and enjoy the camaraderie of fellow riders. 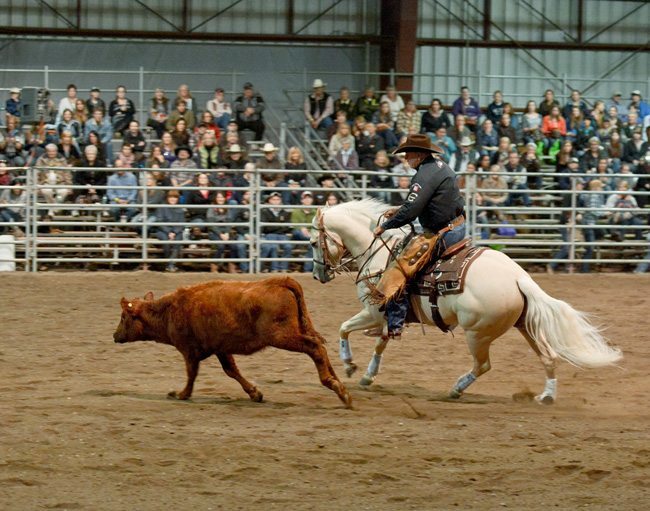 The entertainment on Saturday night was provided by fellow competitors, who pulled out their lariats and participated in the steer stopping and team doctoring competition. These events seem to bring everyone together in a casual way. “It was pretty fun watching!,” said Roxanne Sapergia as she surveyed from the grassy banks alongside the arena. An impromptu herding dog competition broke out as a few competitors took turns sending in their cow dogs to demonstrate their abilities in gathering and putting away cattle after each go around. Onlookers cheered, hooted and hollered as the dogs worked, and everyone enjoyed the evening’s events. “This is the best time I have had at a horse show in a long time” said Sapergia, who promised to come back next year for this event. Bart Holowath and SDP Blu Reys, the NP Derby Champions. As with any show, sponsors and volunteers are the backbone for a successful event. “From donating cash, prizes, product, services and countless of hours of behind-the-scenes work, it took a village to make this show happen, for it to be so successful, and fun to boot!” said Katie Wilson, the CCRCHA treasurer and one of the powerhouses behind the event. Mark Parson (right) accepts the reserve championship of the NP Derby from president Cayley Wilson. 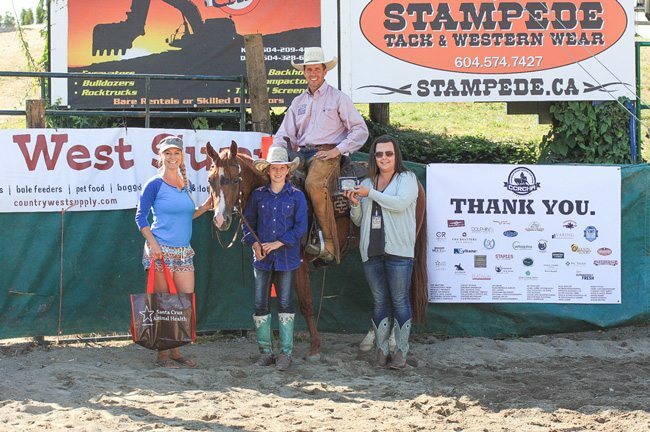 The Association wanted to give a special thanks to Dean Tufton of DT Ranches for donating a breeding to his great Stallion, Hickory Holly Time and Chad Vanlandingham who donated a breeding to Spots Hot. These monies all went towards the payouts. The CCRCHA would also like to thank San Juan Ranch/Santa Cruz Animal Health for stepping up and sending not only cash, but amazing prizes and gift cards. Vetoquinol/Zylkene donated grooming bags filled with product, gave cash and sponsored the amazing steak dinner and presentation. Local Langley Realtor, Amy Brattebo reached deep in her pockets to help support the first show and get the association off the ground. Roger Brown gave not only his time, but his knowledge and expertise was, no doubt, an integral part of the smooth operations behind the scenes. Thanks to all who drove from far to support us at Cow Up On The Coast! Heather McLevin rides Have A Drink On Me in the NP Bridle Spectacular. Seth Abrahamson Level 1 Open Derby Champion aboard PG Thunderstruck. 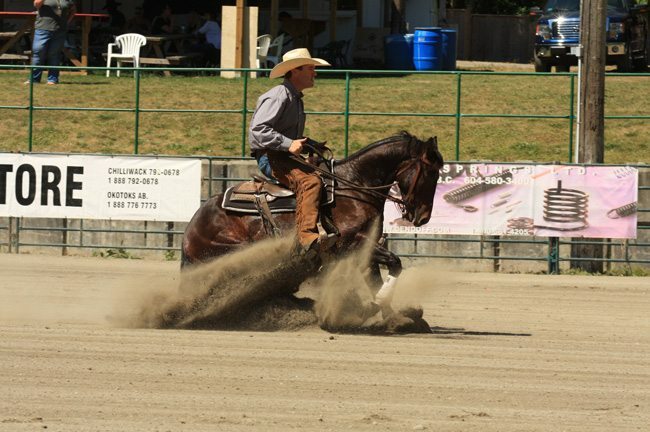 Travis Rempel runs TR Performance Horses, based in Abbotsford, British Columbia, specializing in working cow horse, reining and cutting horses. He is charging onto the scene, claiming limited open and open victories in all three disciplines across western Canada. When Rempel steps into the show pen, he is there to win and these are the products he relies on to get him to the pay window. If there’s one enduring stream to what we’ve always strived for at the magazine, it’s championing the western way of life, and central to it, our competitive horse sports. 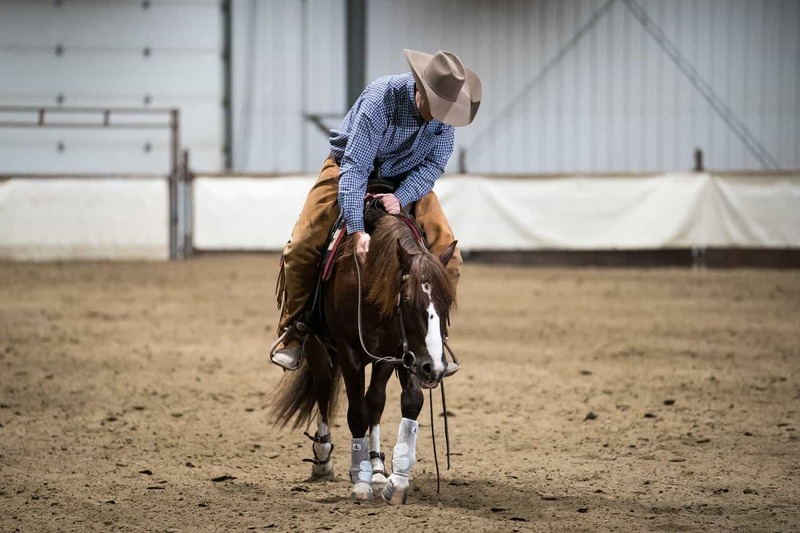 This week, the pinnacle event for cutting, cow horse and reining happens at the Canadian Supreme in Red Deer, Alberta, running today through Sunday. 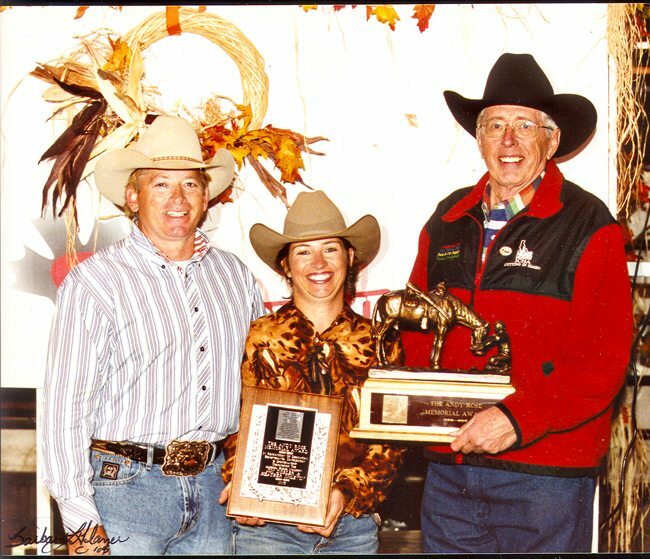 It’s tough to find a competition that has successfully showcased these three disciplines anywhere in North America, never mind one with the tenacious band of volunteers behind the scene, especially when you consider the factors that go into running a show of this caliber across three disciplines – the ground, cattle management and all of the various individual sport demands. Throw in a horse sale on the Friday night, a trade show, and special event on the Saturday night (by the way, Western Horse Review will be presenting a special award on this night, one close to our hearts! ), and you can’t come away with anything but respect for the longevity and success of the event. Core to the competition are the horses and people we’ve come to admire and look forward to cheering on each year. A decade or so ago, the organization gifted me with dozens of CDs of old photos. Since the event is just shy of 40 years I thought it’d be fun to look back at some of the highlights of the past sets of decades – 1985, 1995 and 2005. Enjoy and see you at the show. Jason Grimshaw and Diamond Tiara. Dave Robson presenting. Les Timmons and Urban Cowgirl. Bill Collins presenting.